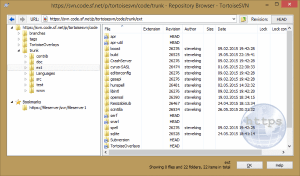 TortoiseSVN 1.9 is a superset of all previous TortoiseSVN releases, and is considered the current stable and "best" release. Anything in earlier versions is also in 1.9, but 1.9 contains features and bugfixes not present in any earlier release. 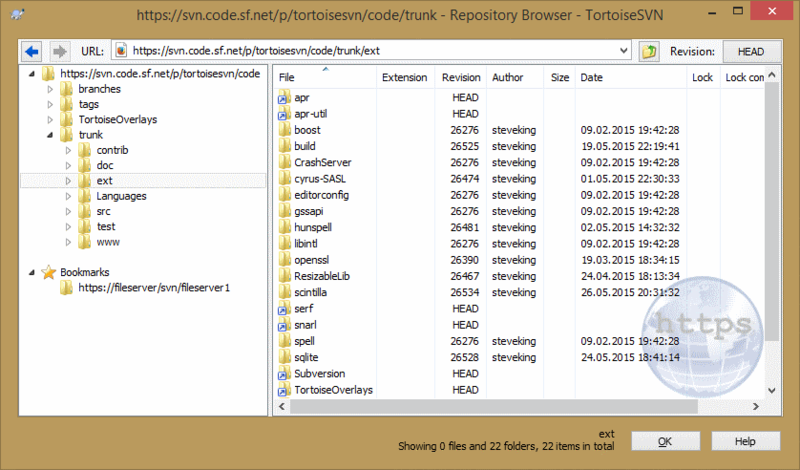 Don't forget to check out all the changes in the Subversion library that also is now at version 1.9: all those changes are of course in TortoiseSVN as well. See the full list of changes in the Subversion 1.9 release notes. 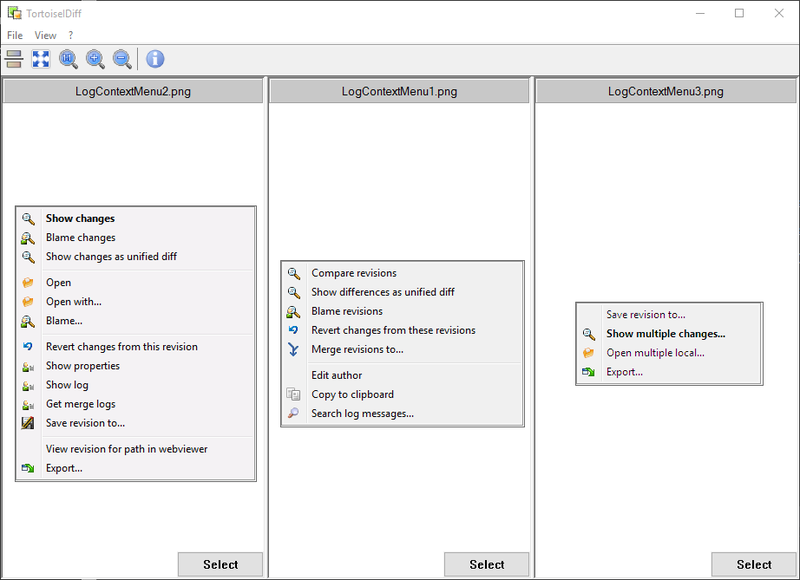 TortoiseSVN 1.9 and later requires at least Windows Vista or later. It won't run on Windows XP anymore. If you're still need to use Windows XP, you have to keep using TortoiseSVN 1.8. The project monitor is a helpful tool that monitors repositories and notifies you in case there are new commits. If you already know the Commit Monitor, then you're immediately familiar with the project monitor. 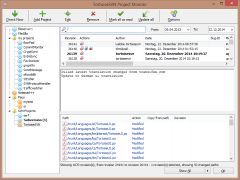 The project monitor is however more powerful since it can use the full features of TortoiseSVN. The projects can be monitored via a working copy path or directly via their repository URLs. The project monitor scans each project in a configurable interval, and every time new commits are detected a notification popup is shown. Also the icon that is added to the system tray changes to indicate that there are new commits. 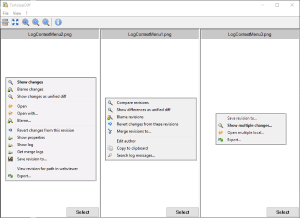 All settings that are configurable in the settings dialog can be synchronized to a specific file, or manually exported/imported. This allows to set up new workstations much easier and quicker. If the specified path for the sync feature is on a cloud drive like Onedrive/GDrive/Dropbx/..., then changes made to settings are automatically synchronized to all other workstations that use the same cloud drive and have set their sync paths accordingly. More information about which settings and which data is synchronized can be found in the documentation. All dialogs that show status information like the commit dialog, check-for-modifications dialog, revert dialog, ... now have an entry in the context menu named Shell. This entry expands to the same context menu the Windows explorer shows for that path. This avoids having to go back and forth between TortoiseSVN and the Windows explorer to do certain tasks. SubWCRev, the command line tool to gather information about a working copy, has now an option to ignore files or whole paths. The ignored paths/patterns need to be written to a text file named .subwcrevignore in the working copy. A more detailed description of this new feature can be found in the documentation. The image diff tool TortoiseIDiff can now help resolving conflicts of images as well. In a conflict situation, it will show all three images that take part in a conflict, and lets you chose which one to keep/use. The repository browser can now show a list of bookmarked repository URLs. This allows to faster browse often used repositories, without having to first enter the URL manually or find the corresponding working copy. Files and folders that are dragged from one working copy to another with the right mouse button down can be automatically added as externals to the dropped working copy. A new hook is available that is called right before the commit dialog is closed. If the hook script returns an error, the commit dialog is kept open so users can fix the problems right there, before the commit is tried. This is useful in case a hook script has to ensure a certain format of the commit message, or scan all files that are to be committed first. Another hook is available that if set, shows a button in the commit dialog which when clicked runs that hook script.